CARL RUSSO/Staff photo. 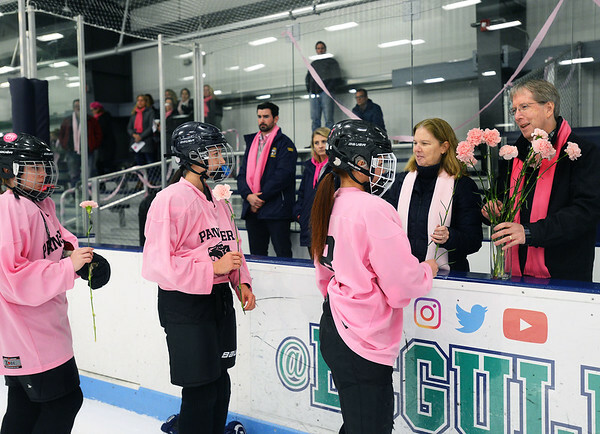 Colleen Ritzer's parents, Peggie and Tom accept pink carnations from Beverly/Danvers sophomore hockey player, Lily Cook, right and other players. Both teams presented the flowers to the Ritzers before the start of the game.